This British HEAT rifle grenade was similar in shape and size to the US M9A1 grenade. Its base fuze was the main difference, together with the stand-off distance. 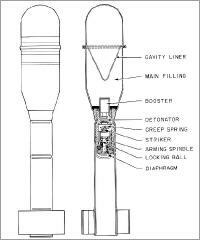 The fuze designation was No.430 Mk1 or Mk2 which was, unlike the american fuze, armed by the igniting propelling charge (diaphragm). 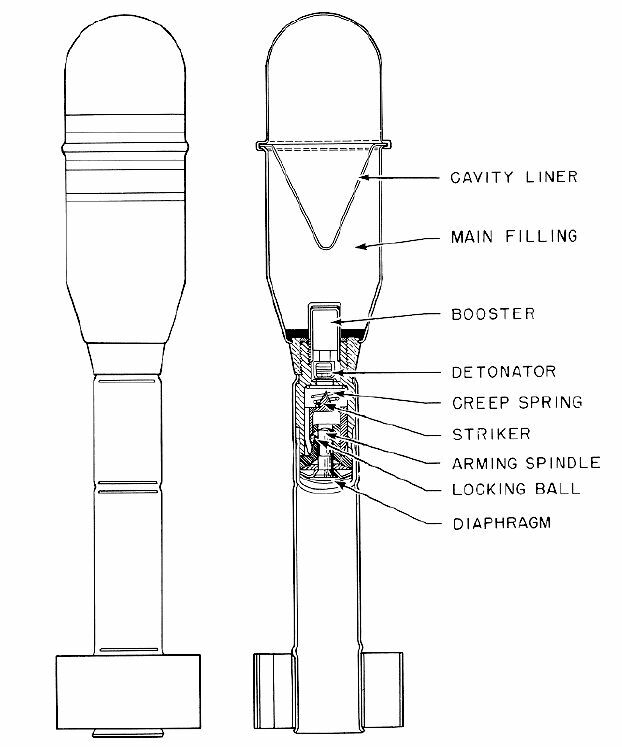 Fuze : No.430 Mk1 (Mk 1 and 2 version), No.431Mk1 (Mk3version). 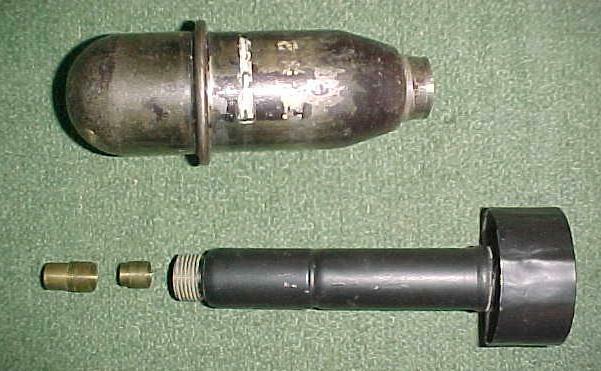 The MkII type differs in the fuze, which is now No.431Mk1. This fuze has a larger detonator. This grenade might not have been adopted. This third version was made into a with both good hollow charge effect but has also inproved fragmentation. It was fitted with "Fuze, No.431Mk1" in an alloy tailpiece. It was trialed only, not adopted for use. Photo right © Norman Bonney.